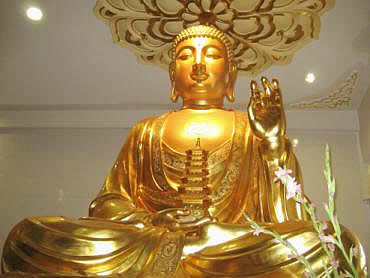 He accords with each one's wish and never will retreat. 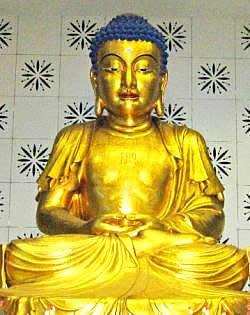 Namo Medicine Master Lapis Lazuli Light Thus Come One of the Eastern Pure Lapis Lazuli Land. 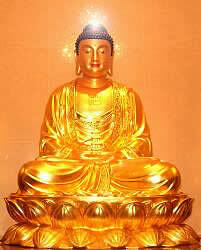 Namo quelling disasters lengthening life Medicine Master Buddha. 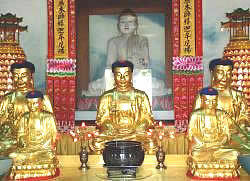 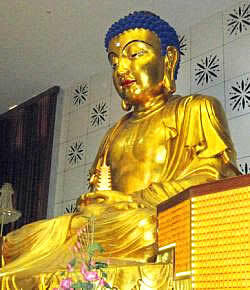 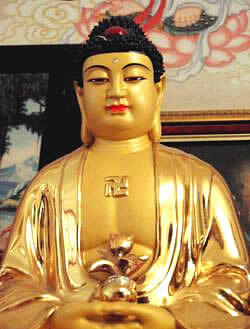 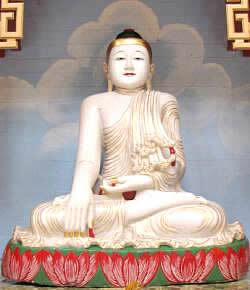 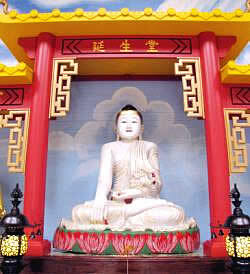 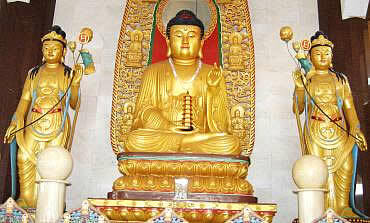 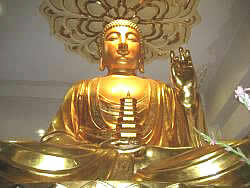 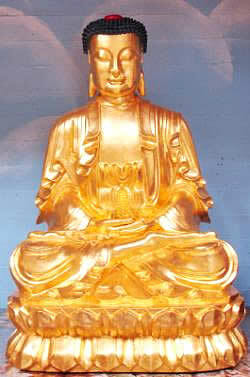 Medicine Master Vaidurya Light Tathagata is the Buddha of the Land of Vaidurya Light in the East. 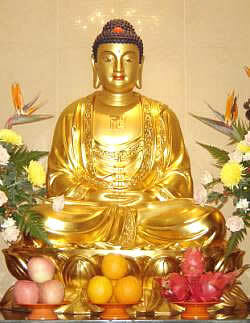 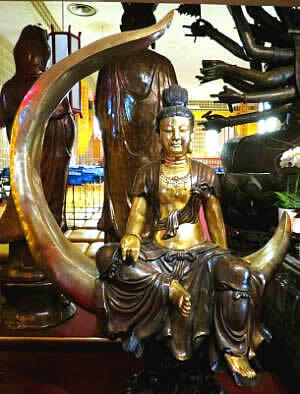 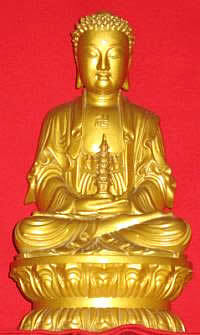 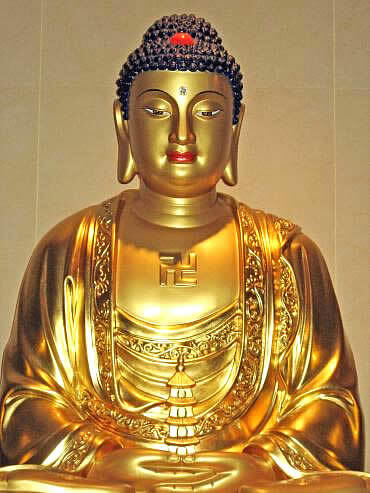 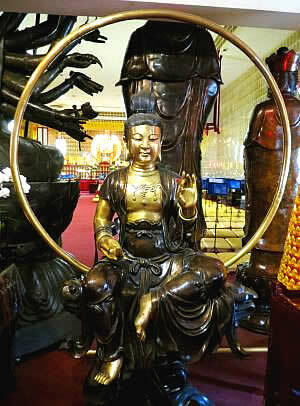 This Buddha bestows blessings and long life on people and helps them in times of disaster and difficulty.